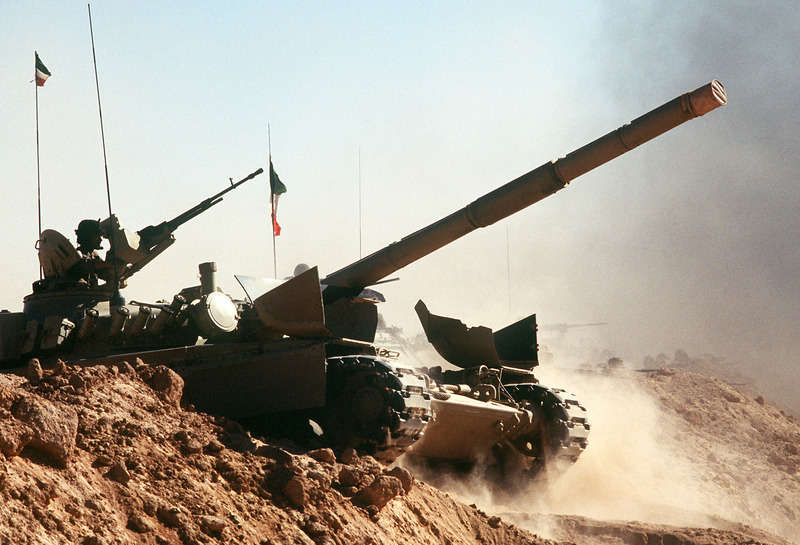 A Kuwaiti M-84 main battle tank crosses a trench during a capabilities demonstration at a Kuwaiti outpost during Operation Desert Shield. Photo by Tech. Sgt. H. H. Deffner.